Posted on November 22, 2017 by Crystal Inc. 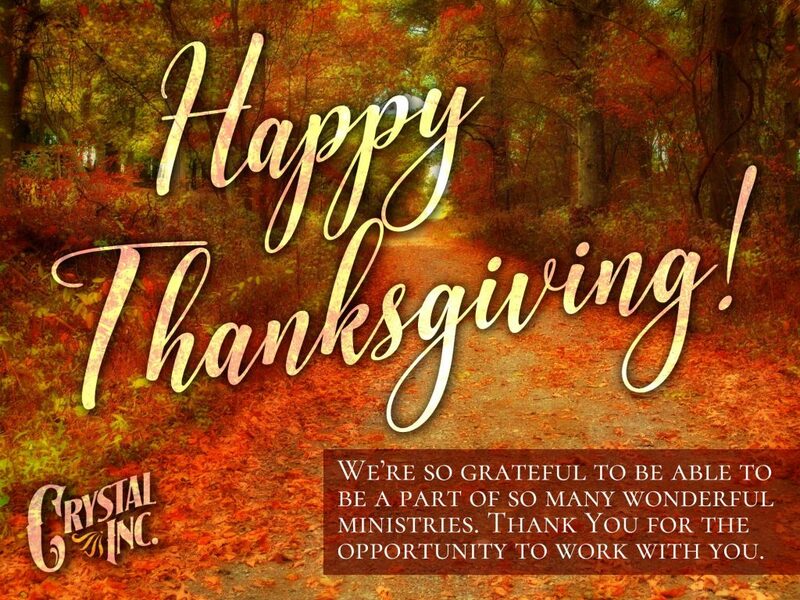 Crystal Inc. will be closed November 23 and 24 for the Thanksgiving holiday. We hope you have a wonderfully blessed Thanksgiving with your family and friends.